If you’re wondering which airline has the best champagne selection or the highest thread count on their linens, this is not the post you’re looking for. 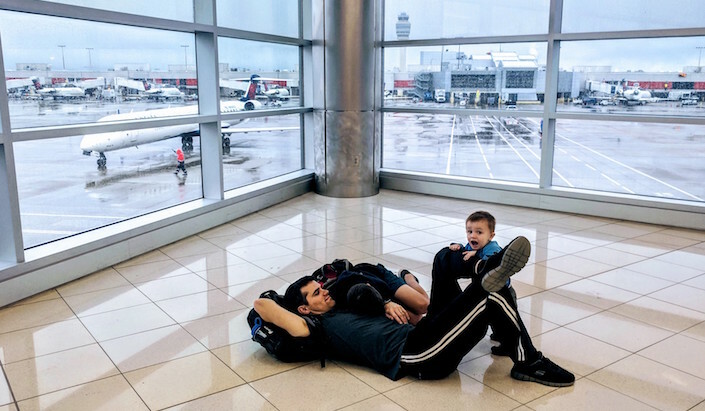 Our family travel style is very middle-of-the-road for international travelers. We fly in basic economy most of the time. Sure, we love a good airport lounge and we very occasionally spring for the lay-flat beds on nighttime flights. But we also are not “luxury” travelers. We don’t care about alcohol selection and don’t like to be checked on every 10 minutes. We do love getting from Point A to Point B without dreading our travel days, even if Point B is halfway across the world. 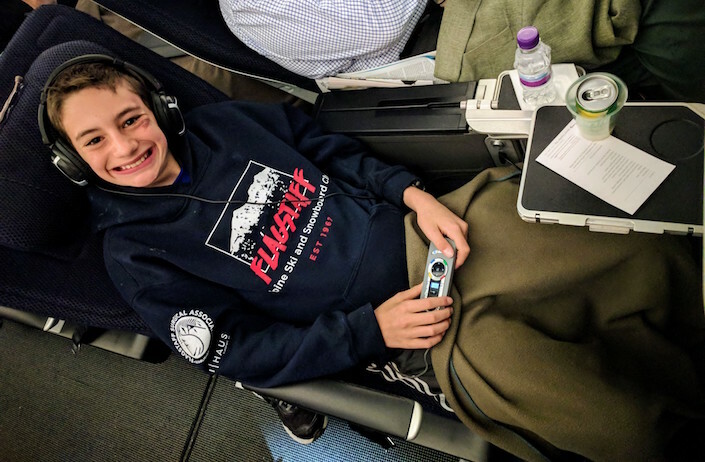 So here’s my review of British Air and our flights to and from Switzerland this year with our preteen C and our little toddler J. This was during Christmas break 2018-2019, a very busy time for family travelers and the air industry alike. 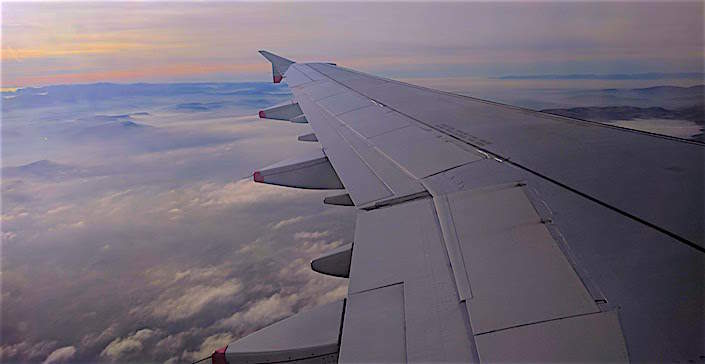 Despite the many haters hatin’ on British Air’s taxes and fuel surcharges, we managed to travel-hack our way from Atlanta to Zurich via London (roundtrip for all 4 of us) for $805.27 plus some Capitol One points and Avios. The cash price of the tickets would have been over $10k. You can read about the full cost breakdown of our trip (and comparable costs if we had paid cash for everything) here. 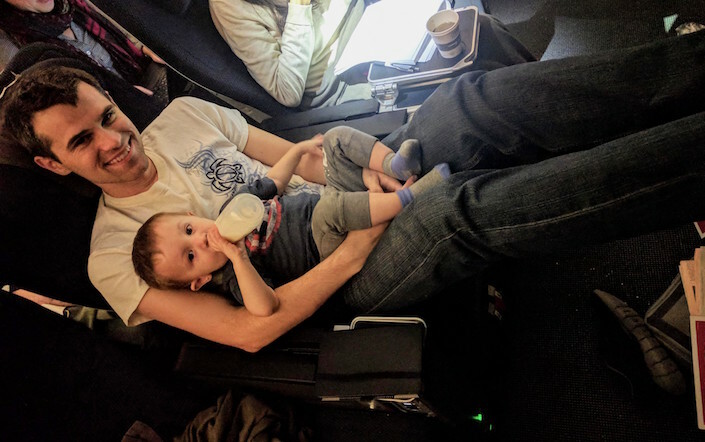 Note that babies do cost money on many international flights even if they are “lap babies” – they are not a free add-on the way they are on many domestic flights. We did have the option to choose our seats for no additional charge on all our BA flights as soon as we had booked tickets because we were traveling with a child under 2. Our outbound flight was overnight (8 hours), so we upgraded that one to business class aka Club World. The Club at ATL lounge in Atlanta’s international terminal was very comfortable, and the attendants there were great with the kids. Jelly Bellies were available by the bucket load. The boarding process in Atlanta was easy. BA gives families priority boarding no matter which cabin you’re flying in, and we were the first ones on the plane as far as we could see. The Club World cabin was nice and clean. The amenity kit was cute and had all the standard useful and nicely-scented items. On both long-haul flights they provided one of those little envelopes where you can toss your spare change in any currency to send it to charitable cause, which I always appreciate. The crew was very pleasant and sweet with our boys, especially with J (double props for this since they had all just worked Christmas day). They seemed completely unfazed by our explosion of bottles and other baby stuff. The plane was a 4-class Boeing 777-200, which was perhaps not brand new but certainly in great shape and very comfortable. I’ve read complaints that the Club World seats are narrow compared to other carriers, but if this is true it didn’t bother us. There was enough room for me to lay down with J snuggled up next to me. If you want maximum privacy, get one of the rear-facing window seats. We were served our pre-flight drinks and given a dinner menu. We also got a breakfast menu card to fill out advising the crew of whether we wanted to be awoken for a full breakfast or just in time for tea, or if we wanted to be left alone until landing (brilliant). The baby and I went to sleep shortly after take-off. My husband and oldest son said dinner was delicious and the entertainment selection was great. There were snacks and drinks available in the galley during the entire flight. The amenity kit, noise-cancelling headphones, and the “put your spare change here” envelope. We reserved seats with access to an “infant bassinet” but never actually used it. A family across the cabin did use theirs, and their baby seemed to sleep very happily there. No one seemed to care that my baby and I were sleeping together in one seat, questionably buckled, and no one cared when my husband and I passed him back and forth through the “privacy screen”. I loved the breakfast and morning tea/coffee service. I’m easy to please any time I can get caffeine and scones in the same location. Our Club World tickets gave us access to the Galleries arrivals lounge, but we skipped that mostly because we didn’t see the signs for it. Our tickets allowed us to bypass the longer lines getting in to Terminal 5, where we immediately headed to the Aspire lounge to drink coffee and make small talk with some random friendly British people who also had kids. This flight is only about an hour long and the seats are all about the same, so we stuck with Euro Traveler seats and didn’t add any upgrades. There are beautiful views over the English Channel and the Alps if there are no clouds. There are pretty much always clouds. The Aspire lounge at Zurich had a great breakfast/brunch selection, and it was pretty much empty while we were there. No one minded the kids. Our homebound flight was during the day (about 9 hours), so we kept ourselves in the premium economy (aka World Traveler Plus) cabin and made sure to reserve bulkhead row seats for me and my husband (also with access to a bassinet). Our 12 year-old was right behind us in “regular” World Traveler Plus aisle seat. We were on a 787-9 Dreamliner, which was obviously gorgeous. I am a little bit obsessed with the giant “touch-to-darken” windows. The World Traveler Plus cabin had seats in a 2-3-2 configuration with only 6 rows, so it felt smaller and much quieter than the main cabin. With the leg rests, foot rests, and extra seat recline, we had more than enough room – especially since we were in the bulkhead row. Our very tall 12 year-old was able to stretch out behind us without bumping our seats at all. There were blankets and pillows and noise-cancelling headphones. 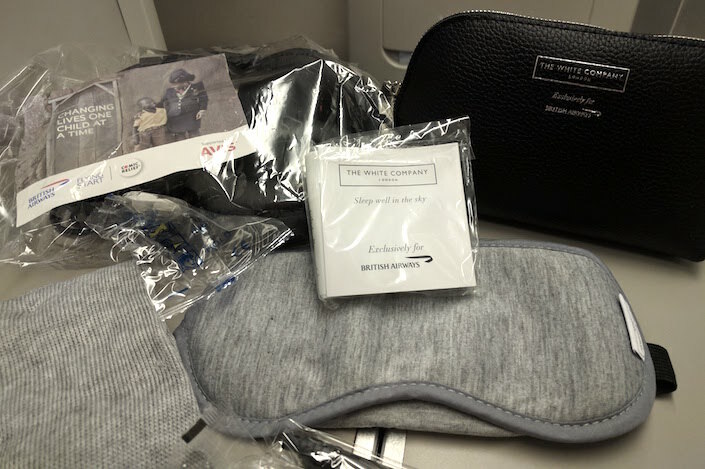 The little amenity kit was a step down from the Club World amenity kit, as you would expect, but still contained the essential eye mask and earplugs for those who needed to sleep. Stretching out in the World Traveler Plus cabin bulkhead row. We got pre-flight drinks and hot towels and the food was served in glassware instead of plastic. The flight attendants were helpful and polite, and graciously put up with the fact that C kept paging them for Sprite before I found out what he was doing and told him to walk back to the galley himself if he wanted refills. There were surprise ice cream bars a few hours from landing, which the kids loved. The only bummer was that our entertainment systems weren’t working well (just mine and my husbands – every other one was fine, of course) and they didn’t have a backup plan for us other than newspapers and magazines. We had our own devices with us (and plenty of outlets for charging them at the seats) so it worked out fine, but it seems to me like modern long-haul flights should at least have a few tablets on board for when the in-seat entertainment systems glitch out. Update: Less than 2 weeks after our trip, BA sent us a long apology email for the entertainment system failure, and credited 5,000 Avios to our account. C enjoying the entertainment system and unlimited Sprite in the World Traveller Plus cabin. For a long-haul daytime flight, World Traveler Plus was perfect for our family. It would not have been worth the extra expense for us to be in a higher class or have a lay-flat bed during the day. While some parents really like the ‘activity kits’ that some airlines give kids on long-haul flights, I was pleased that BA didn’t automatically foist a pile of junky toys/books on us. My preteen is happy watching movies anyway, and the baby doesn’t need more cheap stuff. I’ve been told BA does have activity kits/coloring books available for kids if you ask. During every flight I’ve taken on BA the seatbelt light has been off most of the time (it’s actually been my experience that most European-based airlines are more relaxed about seat belts than US-based airlines). This approach is super helpful when you have a squirrely toddler in your charge who likes to stroll the aisles waving at people and who takes “please return to your seats” incredibly personally. We were given “lap baby” seat belts to buckle J in during take-off and landing. This was not something we’ve used before and J expended a good amount of energy trying to get his seatbelt off and keep it off. No one seemed to care if he had it on at cruising altitude, regardless of whether the seatbelt light was on. In case anyone is nervous about diaper-changing on long-haul flights, the changing tables in the lavatories were completely adequate. We use Huggies Overnight diapers with a Sposie “booster pad” diaper liner when we plan to go awhile between changes. That combination has gotten us through 12 hours, easy. You can read our other tips for air travel with infants here. Feeling the jet lag back at ATL. For more information on traveling British air with infants or children, you can find British Airways’ policies, legal requirements, luggage allowances, etc., on their website. If you’re traveling with a pet or have special medical or emotional needs, you can learn more about BA’s services for these situations here. 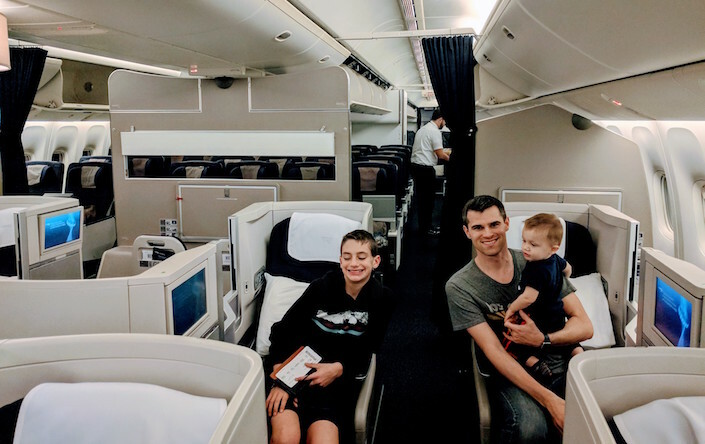 We had a great experience flying British Airways as a family. 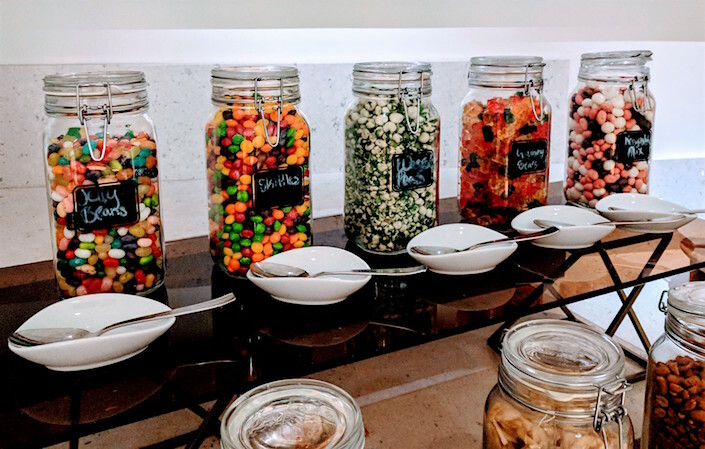 I was really happy that we upgraded to the World Traveler Plus and Club World cabins while traveling long-haul and overnight with the kids – the little extras that came with those upgrades made our travel days really enjoyable. This trip redeemed any residual bitterness we had about that time we got stranded in the UK (which was not the airlines’ fault because there was crazy fog and everything out of Heathrow was cancelled, but it was something they probably could have handled better). We will absolutely fly with them again. Flying with kids makes me anxious from start to end! Going to try those overnight diapers and liners on the next trip, though. 😛 Thanks for the tips! This piece ᴡill help encourage a lot of people flying with kids. 🙂 Nice work!